Figure Skaters Online was started as a way to support figure skating athletes pursuing their dreams on the ice, by proudly providing them with their official websites off the ice. Since the 1998-99, Figure Skaters Online has proudly provided official websites for more than 70 nationally ranked skaters. The athletes participate in three disciplines of figure skating — ladies, men’s and pairs — at various competitive levels. Currently, we have 34 websites–12 ladies, 15 men and 7 pairs teams. 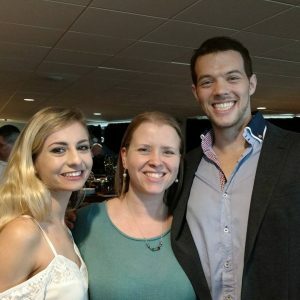 In addition to the websites, FSO provides event coverage of all the major figure skating events and competitions, from the Olympics, World Championships, Grand Prix Series to the U.S. Championships, We also provide in-depth interviews and articles on our athletes. All of the work at Figure Skaters Online, from designing to maintaining the official athletes sites, is done by a group of volunteer designers and webmasters who provide their services to skaters at no cost. The Figure Skaters Online also has a team of volunteer writers who interview skaters, along with provide event coverage. Figure Skaters Online currently has eight team members in addition to freelance photographers and writers. FSO invites any interested volunteer web designers and webmasters to join the team. For more information on becoming a part of FSO, please e-mail Gina Capellazzi. You can also fill out this form. Gina joined Figure Skaters Online in 2013 as a way to get more involved with her favorite sport. Since 2015, she has taken more of a leadership role, leading the team in the growth of Figure Skaters Online. In addition to taking care of the day-to-day updates and designing and maintaining athlete websites, she also coordinates FSO’s event coverage and oversees the staff of writers. As a journalist, she also conducted numerous interviews with skaters and has covered numerous skating events, including the U.S. Championships and World Championships. 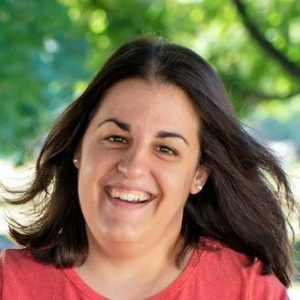 Gina lives in western New York and is a New Media Coordinator for the Catholic Courier/El Mensajero newspapers, the award-winning publications for the Roman Catholic Diocese of Rochester, New York. Leah has been the owner of Figure Skaters Online since its creation in 1998. She is also a photographer and has traveled around the country and world taking many of photographs you see on Figure Skaters Online as well as on the individual athlete websites. Leah lives in Western Colorado and is an account executive for KREX-TV | KFQX-TV| WesternSlopeNow.com in Grand Junction, Colorado. Daphne assists with the technical administrative duties for the main Figure Skaters Online site and has also designed several athlete websites for Figure Skaters Online. Daphne is best known for her work with Ice-Dance.com. Since co-founding Ice-Dance.com in 1999, she has spent over a decade building it into the largest ice dance site on the Internet. In addition to taking care of the day-to-day updates, she coordinates IDC’s coverage highlighted by the year’s banner event — the Lake Placid Ice Dance Championships. Daphne lives in southern Maine. Heather joined Figure Skaters Online in 2015 as a way to get more involved with her favorite sport and to make use of her graphic design skills. She currently maintains the website for Tarah Kayne and Danny O’Shea. In addition to her involvement with FSO, she enjoys volunteering at the U.S. Championships and attending skating events, like Skate America, Skate Canada, Four Continents and Stars on Ice. Heather lives in Cincinnati, Ohio. 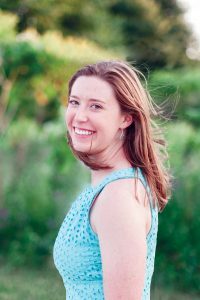 Claire Cloutier joined FSO in 2017 as a contributing writer. Claire is a figure skating writer, fan & observer. Since 2014, she has maintained her own figure skating web site, A Divine Sport, which has a special focus on pairs skating. Claire also participates in the sport as an adult skater. Prior to starting her web site, Claire worked in the publishing industry for 20 years as an editor. 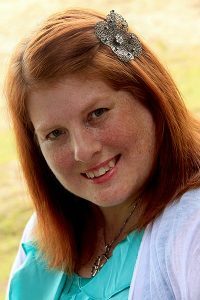 She enjoys putting her writing & editing skills to use covering her favorite sport. Claire lives in Salem, Massachusetts, with her husband and twin daughters. 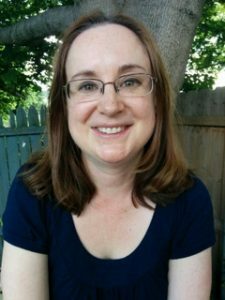 Michelle joined Figure Skaters Online in 2016 as a contributing writer. Michelle has participated in figure skating for most of her life as a competitor and as a coach. With a love for the sport and a background in writing, Michelle covered figure skating for the Examiner.com for three years. She now covers figure skating for her own blog, Centered Spin. She enjoys interviewing the athletes, sharing their stories and covering the sport. Michelle lives with her family in Maple Valley, Washington. Maura joined Figure Skaters Online in 2017 as a web designer and writer. She fell in love with skating as a toddler, while watching Kristi Yamaguchi and Midiori Ito in the early ’90s. At that age, she referred to Ito’s famous triple axel as a “triple accident,” but today she is much more well-versed in skating vocabulary. A skater herself for more than 20 years (and counting! 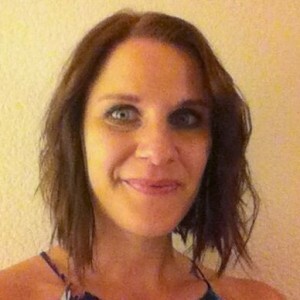 ), she is also a Basic Skills coach and writes about figure skating on her blog, Twizzle Talk. Maura is freelance writer and editor based in Chicago.